Unlike breakout boards from other suppliers, these feature a silkscreened area you can write on. While this increases the space the board takes up slightly it is invaluable for noting what (tiny) component is soldered to the board! 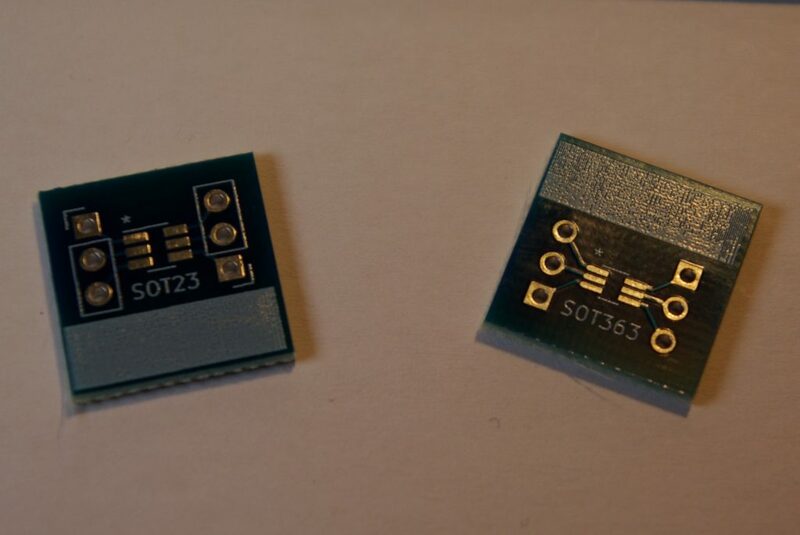 The approximate dimensions of the boards are 15x15mm. 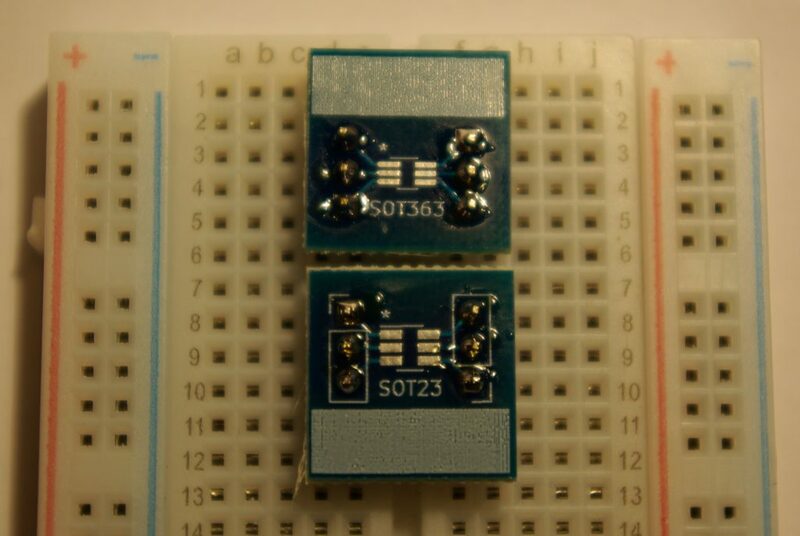 Note that the current revision of these boards have pins .35 inches apart. 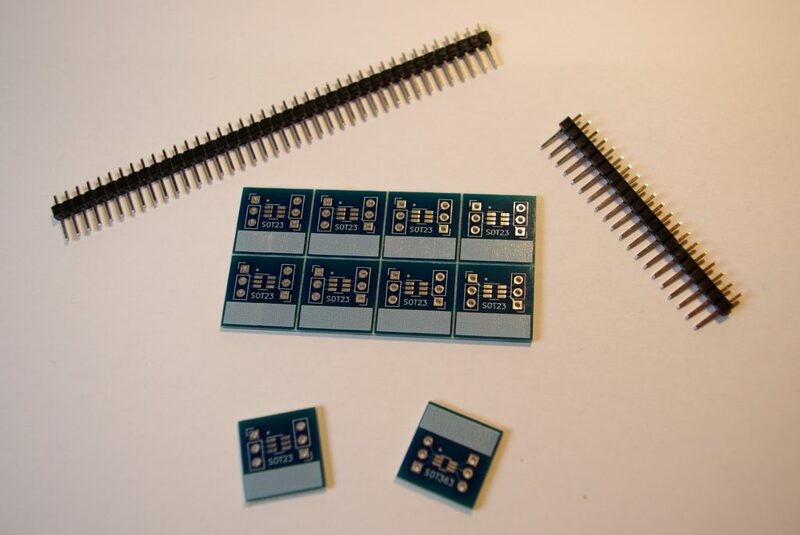 The pins still go into a standard breadboard, but care must be taken to insert the pins and breakout board into a breadboard and soldering in situe, so that the pins are at an appropriate angle. A new revision of these boards is coming soon which will have the pins .4 inches apart.